For this annual report, women in the YWCA's residential shelter program created mosaic self-portraits out of broken tile and glass. This inspired the theme, Women Becoming Whole. 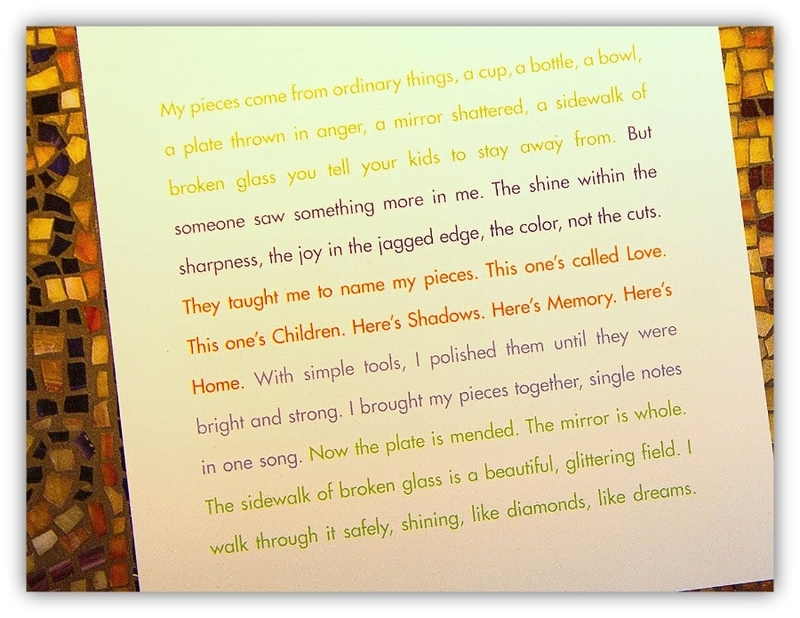 The copy used the metaphor of making something beautiful out of lives shattered by violence. Okobos Shoes is a non-profit foundation out of Wisconsin that makes cause-related footwear, the proceeds of which go to helping children in poverty all over the world. Working with my freelance creative partners, I wrote this web commercial, which was shot by cinematographer Wayne Calabrese. We also had the privilege of going to St. Louis to produce a short video for the world-renowned Kenyan Boys Choir, whose U.S. tour was sponsored by Okobos. In this video, we filmed them recording the Okobos jingle, “Walk With A Purpose”. That was one of those fun, inspiring days where I said "I love my job!"